Brown dwarfs, sometimes known as “failed stars”, fill the gap between low mass stars and giant gaseous planets. They are faint objects, difficult to study and, as such, some of their characteristics are not well known. An international team has searched for polarized light in a sample of brown dwarfs with the CAFOS instrument at Calar Alto observatory – a method which helps to know the properties of these objects –, and has found polarized light in one of them, although its poorly determined distance does not allow us to determine the exact cause of the polarization. CARMENES, a spectrograph that operates at Calar Alto Observatory (MPG/CSIC), constitutes a unique instrument due its stability and its very high resolution, and also because it is capable for observing in both the visible and infrared channels simultaneously. Today, the official delivery of this instrument to the observatory by the instrument's PIs from the Landessternwarte (Univ. 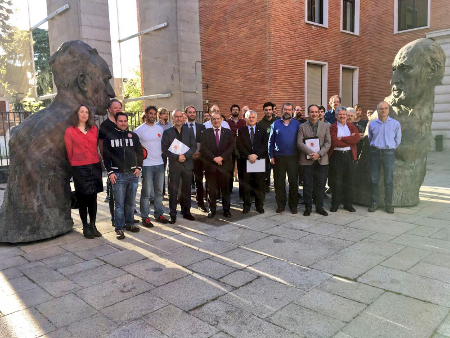 Heidelberg) and Instituto de Astrofísica de Andalucía (IAA-CSIC) has taken place. Planetary Nebulae (hereafter PNe) are the last evolutionary phase of stars with initial masses between 0.8 and 8 solar masses (Msun). 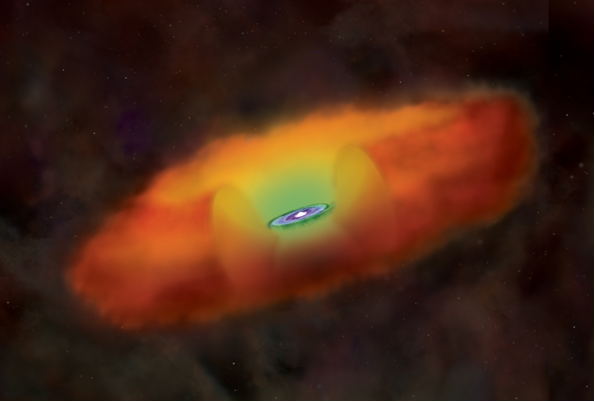 They appear as a compact central star (the remains of the progenitor star) surrounded by a bright shell of expanding gas, produced during the previous red giant phase, when the star blew away its external layers. 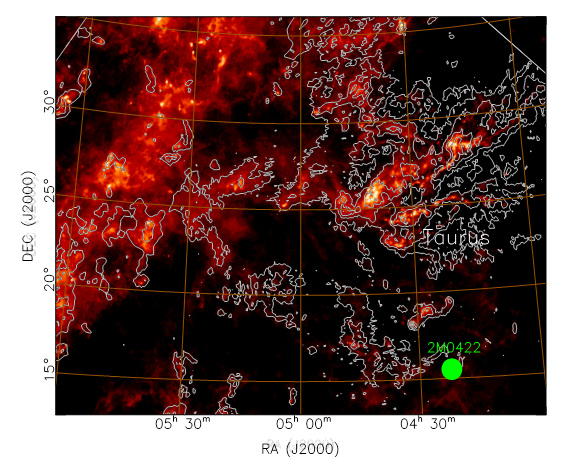 In a few tens of thousand years, PNe disperse in the interstellar medium. Although more than 3,500 PNe are known to date in the Milky Way, many of them lack appropriate observations to place them in the general context of PN evolution. The study of K4-37, one of these less observed PNe, gives new hints to this context. 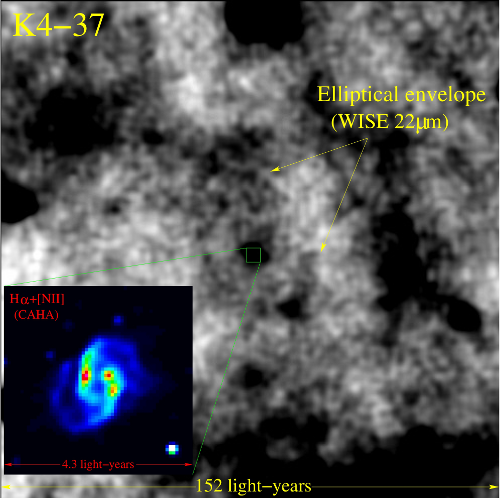 SN2015bh: end of star or supernova “impostor”?